Google chose the Eemshaven in Groningen to build their new data center. - Catawiki: Fast50 numero uno in 2015, receiving €75 million in investments and creating 300 new jobs this year. 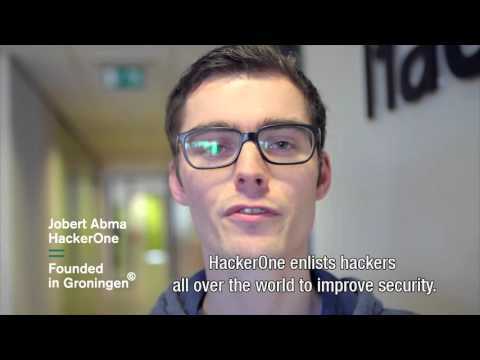 - HackerOne: Offices in Silicon Valley and Groningen, €22.7 million in funding and named one of the hottest startups to watch in 2016 by Business Insider. - CrowdyNews: received €6.2 million in investments and currently conquering the Chinese and US markets. - Simplicate: €1 million in investments and ready to start conquering the world. - Tvilight: Former finalist Accenture Innovation Awards and Global Innovation Awards finalist. Now a global market leader in the field of intelligent streetlights. From startups to scale-ups, from universities to local and provincial government, Groningen works together to create awesome things. Smart factories: The North Netherlands will start large scale investments in smart factories, for a total sum of €21 million, initiated by the NOM (Investment and Development Agency for the Northern Netherlands) and making locally produced, highly customized products for individual consumers just as cost effective as producing abroad. NOM Business Development Manager Rutger van Zuidam: “We see great value in bringing various, different sectors together. Start-ups and established companies can find common ground to tackle problems in often unexpected ways and discover new opportunities to really innovate by combining their strengths. Established companies have the opportunity to use the flexibility of startups, without having to solve everything internally, and this can also give birth to new and highly specialized startups. To get rid of legacy issues, we believe investing in a start-up may very well be more interesting than following traditional procurement process. The hackathons being organized more often, like the upcoming Aquathon.nl, are excellent events to engage in this way of working together, because hackathons prove to be a low risk and highly rewarding activity." Smart farms and smart cows: The northern part of Groningen is the first rural region in the world to start experimenting with 5G, changing agriculture and monitoring production and resources in real time. Creating innovation centers like BuildInG, where companies, students and researchers meet to find ways to build earthquake proof, energy efficient and sustainable homes and buildings. The bragging rights, along with the facts and context to back it up. Groningen: the youngest city in the Netherlands, filled with students, bars, culture & tech and the great things you get when you combine those things. Creative agency 212 Fahrenheit has been nominated for the ED-Awards for best European design, in the Exhibition Design category, with their ‘Stories Never to Forget’ bookcase exhibition for the synagogue in Appingedam. The winners will be announced during the award ceremony in Vienna, on May 21. U-Multirank released their 2016 worldwide university rankings last week and the Hanze University of Applied Sciences is in the top 25 in the ‘spinoffs’ category (ranking the number of startups/number of academics). But that’s not the only high scoring category for the Hanze University. In the Regional Engagement and Collective Regional Publications categories, the Hanze is also in the top 25 of universities in the world.